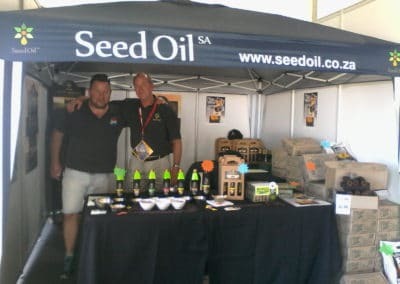 Seed Oil SA proudly exhibited our Grape Seed Cooking Oil on the first ever Cape Holiday Show 29 Sept – 1 Oct at Sandringham Farm, Stellenbosch. 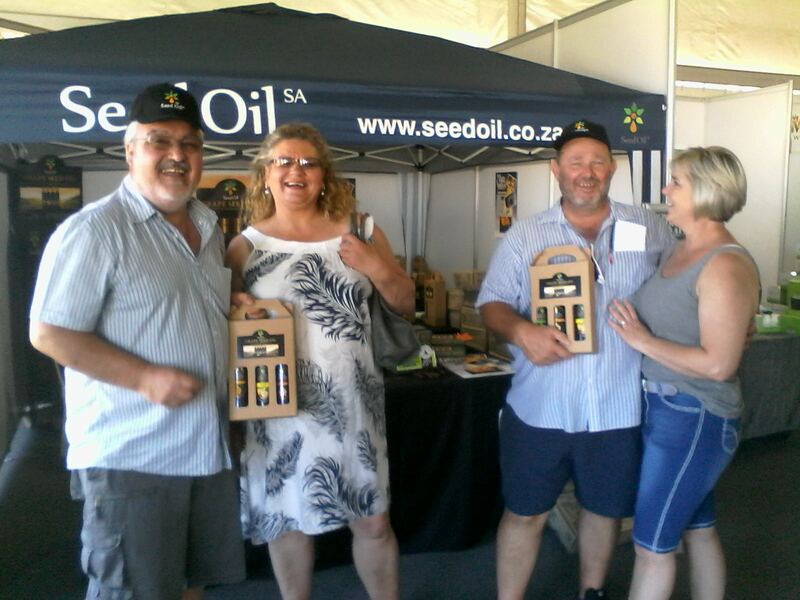 Visitors to the Seed Oil stand enjoyed tasting the various flavours and infusions including Garlic, Chilli, Rosemary and the new Lemon and Black Truffle. The process of making cold-pressed grape seed oil and the health benefits of the cold-pressed extraction method were also shared with visitors. Steven added that the interaction with the public was very valuable as it enabled the company to ensure that its products are in keeping with the needs of its customers. The company also showed their innovative ‘eco logs’, which are manufactured from compressed grape seeds as a sustainable alternative to traditional wood. The eco logs are marketed under the Eco Fire and BBQ brand. The popular South African Cheese Festival celebrates a huge milestone in 2019 – its 18th anniversary! Festivalgoers can look forward to a truly unique experience of cheese and more during the three-day festival from Friday 26 April to Sunday 28 April 2019 at Sandringham Estate, home of the #SACheeseFest, located next to the N1, Stellenbosch turn-off (exit 39), between Cape Town and Paarl. Tickets for the festival are available at Computicket (online and in Shoprite and Checkers stores). No tickets will be sold at the gates. The festival times are from 10:00 to 18:00 daily. From all of us at Seedoil SA, we hope to see you there! 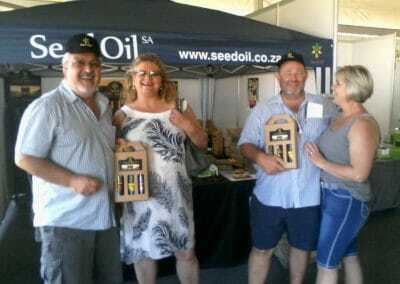 Seed Oil SA is feeling excited. 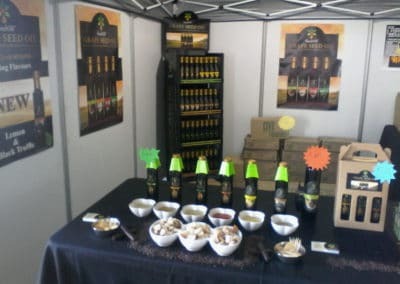 We will be attending the Cheese Festival once again this year. Should you wish to know more about our product range, manufacturing process or retail opportunities, please contact us using the contact information below, or by completing our online enquiry form. We’d be proud to tell you more about our exciting range of products. 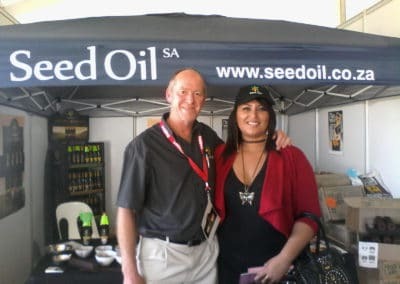 Our product range includes food and nutritional oils, certified organic oils, milled products, a cosmetic and skincare range, massage oils and essential oils. Our products may be purchased online (click on a category below) and conveniently delivered right to your door – nationwide! SHIPPING FEES: R 95 + VAT throughout South Africa. FREE SHIPPING on orders of R 500 or more! Here’s a true SA tradition – Pickled Fish! Happy Easter, be safe. A South African Easter favourite… made with our Grape Seed Cooking Oil – Natural. It's @SeedoilSA 's Birthday! Years of hard work, research and innovation! We are celebrating 12 years! Tomorrow you can catch us out at Sweetwell Butchery and Deli, Raithby, R44 between 11AM-2PM. 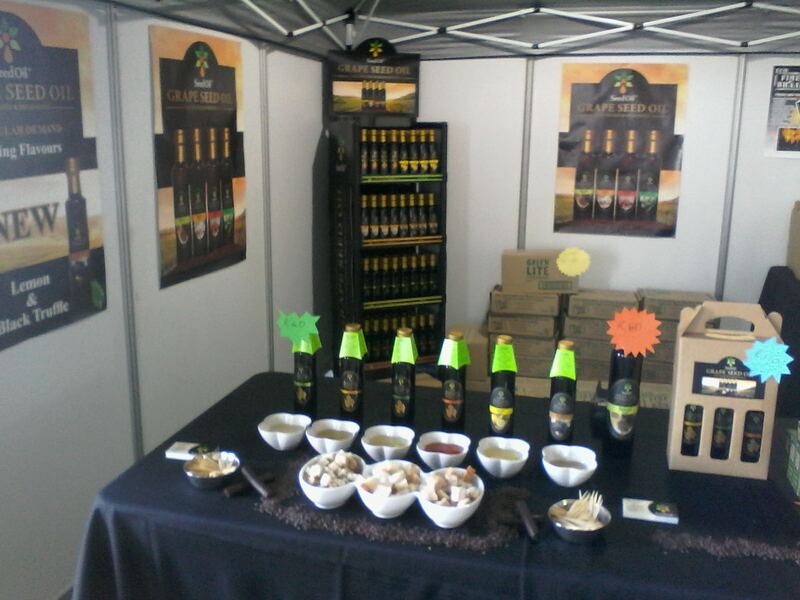 We'll be hosting a tasting with all our Grape Seed Cooking Oils and Ohmegalicious Salad Dressings! See you there! Tomorrow we'll be out at Twin Palms Kwikspar in Strand for our weekly store promo! 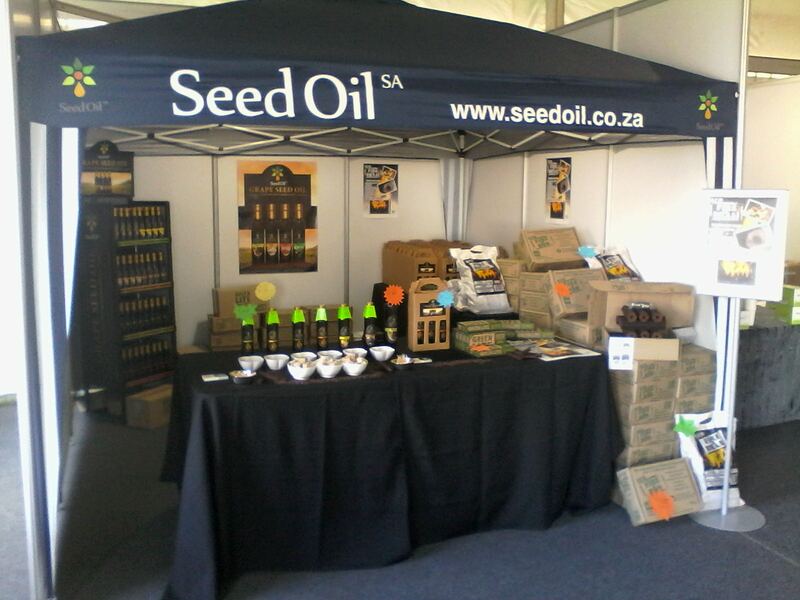 Pop in to taste our Grape Seed Cooking Oils & Ohmegalicious range! 3-6PM, see you there! Fun was had!! 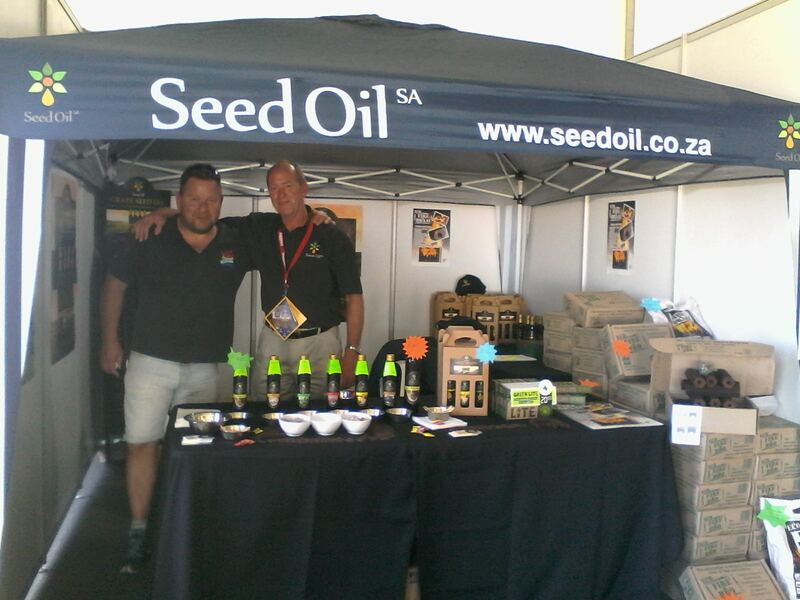 Thanks to Hoërskool Strand - Strand High School for having us participate in their Open Day!